I am a full time endurance coach: passionate about you and your goals! Trained secondary teacher: combining a passion for the sport, experience in racing & training with an ability to relay information and connect with people. Merryn has raced at all levels of triathlon (preference towards half and iron distance) over a 15 year career. After many years as a competitive age-grouper she was privileged to train and race pro for 2 years in 2008 and 2009. For variety and specificity she raced running and cycling events too. In 2008 Merryn began mentoring athletes and helping facilitate training groups with Val Burke and the particular aspect she brings to coaching is the ability to connect with people and relay information so that it is best understood. 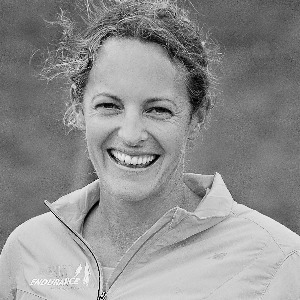 Merryn has experience in swim and run coaching and analysis and a broad triathlon experience base, having raced across all levels of triathlon around NZ and internationally since 1998 (including IMNZ, Kona, Challenge Roth, Challenge Wanaka). Merryn gets huge fulfillment in helping people reach their goals and firmly believes in the power of setting them and how this can uplift other areas of an individual's life. Success. Coach Merryn Johnston has been notified of your message.